All SHAVANO PARK homes currently listed for sale in San Antonio as of 04/25/2019 are shown below. You can change the search criteria at any time by pressing the 'Change Search' button below. "Luxurious 4 bedroom 4 bath estate located in charming Shavano Park. 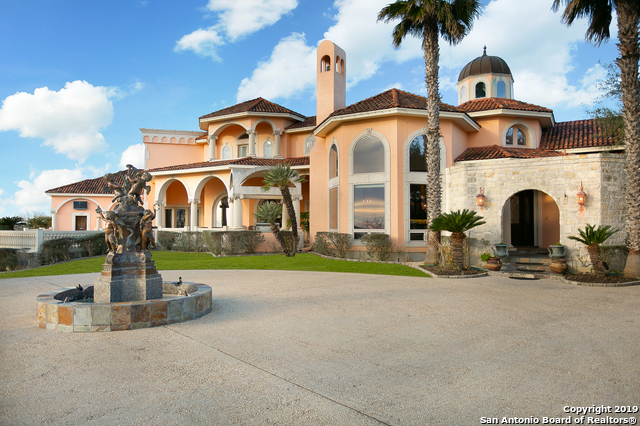 Follow the expansive driveway lined with gorgeous Italian Cypress trees to this immaculate custom home featuring marble flooring, Corinthian column accents, multiple ornate fireplaces, glass chandeliers, and breathtaking views! The chef's kitchen offers homeowners the best in quality appliances. Whether you're entertaining guests at your richly accented indoor bar or enjoying movie night in your private theater, this house is a "
"Tasteful luxury in prestigious neighborhood. 6 Bedrooms & 2 Offices with Master and secondary bedroom down. Downstairs office features full bathroom and can be used as 7th bedroom. Interior highlights include High ceilings, Marble and Wood flooring, Formal living and dining rooms plus large family room and wet bar off kitchen. Upstairs game room offers additional family space. Outside features include private tennis court, pool and lush landscaping on a full acre with mature trees."